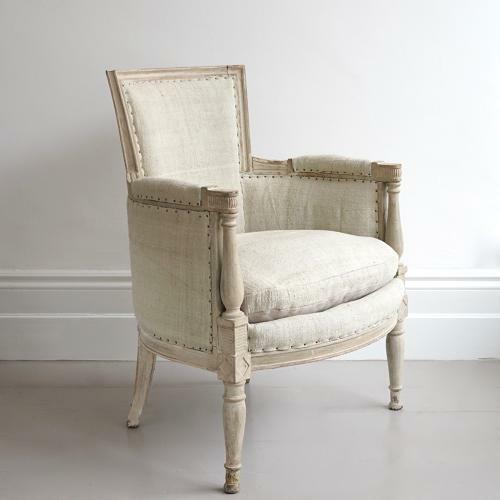 An outstanding French Directoire period armchair in original paint with stunning faded patina. Recently upholstered in antique Belgian linen. An exquisite and very comfortable chair that would enhance any room. Can be re-upholstered in our signature grey ticking, or an alternative fabric of your choice (re-upholstery at extra cost). French circa 1800 - 1820.